Going on a vacation is the most exciting part of the year. However, planning for it isn't that much of a pleasure. There are a lot of things that need to be take care of so that the most awaited vacation doesn't turn out to be a downer. And, one such factor is zeroing in on how to commute at the destination of travel. Sometimes, a destination you're visiting may have a good public transportation system and sometimes that can be completely non-existent. Also, even with a good public transport system, one may not get the hang of the routes and timings on account of being new to the place. And all this can become a cause of stress. Not anymore though. Lookupfare rolls out deals on rental cars so that you can explore the destination at your own comfort. We bring you a range of rental cars so that you don't have to go through the hassles of traveling in a public transport anywhere in the world. 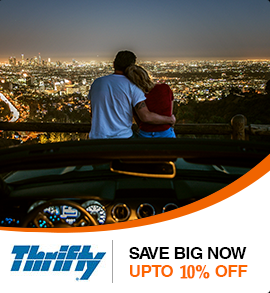 You can rent a car of your choice with us, as per your requirement and explore the length and breadth of the destination according to your convenience. Whether you want a car in Orlando for your trip with kids or you want a car in Las Vegas to traverse the roads lined by the massive red rock formations, we've got you covered at any place in the world. The prices you get with us for rental cars is the best you can find in the industry. Our experts work day in and day out to get you competitive prices on rental cars. 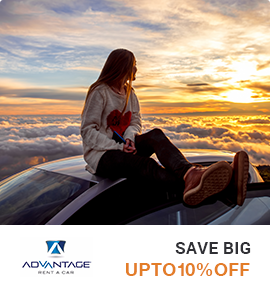 We have partnered with the best rental car companies in the industry such as Advantage Rent A-Car. 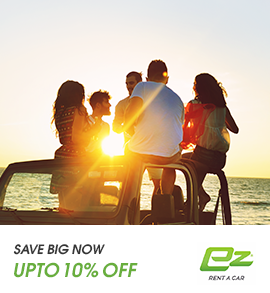 Easirent Car Hire, Ez Rent A Car and more to get you the finest deals on rental cars. 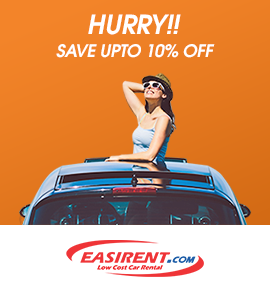 You can book rental cars with us and take advantage of the simple booking process and the cheaper prices Lookupfare is known for. So, get ready for an adventure that awaits you. Start booking now!